Fabric’s Tri Flat Elite saddle is designed to suit the specific requirements of triathlon and time trials. Shorter in length than a traditional saddle and featuring a centralised relief channel, the Tri saddle is designed for performance but not at the expense of comfort. With a unique three-part construction to eliminate pressure points the Tri Flat saddle features a waterproof microfibre that has been bonded directly onto a flexible base giving a softer feel to help you stay comfortable in the saddle. The saddle at first feels quite firm and hard. Although it aligns perfectly under my sit bones. In appearance it does look flimsy although on the touch, everything is quite sturdy. For the price it is quite good entry style saddle for TT. 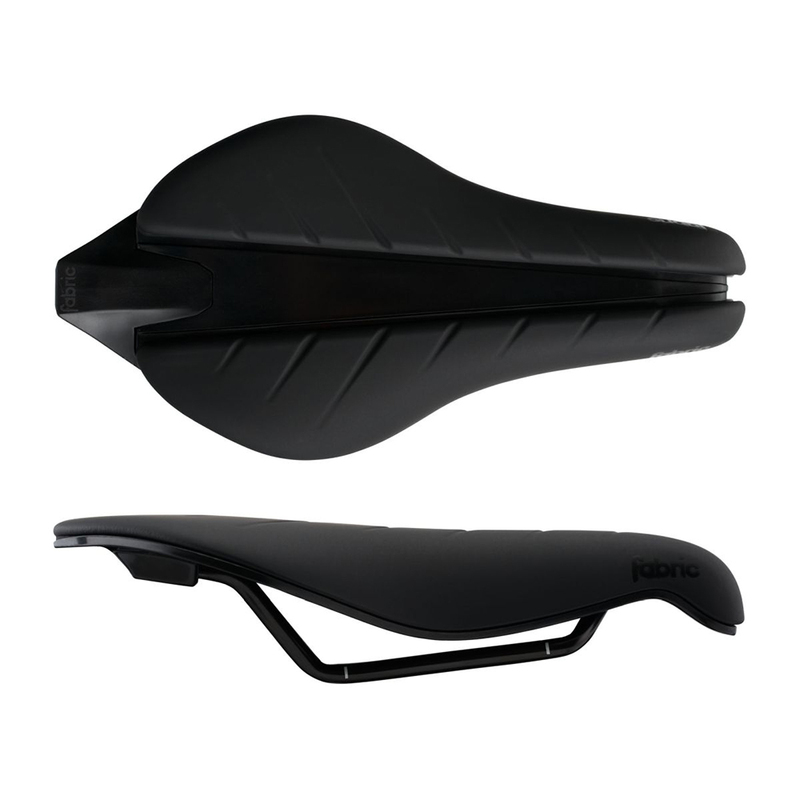 Good saddle and feels light. However very limited adjustment range which has caused a few headaches getting it fitted.